Nearly three million white men of military age remained in the North during the Civil War, some attending institutions of higher learning. College life during the Civil War has received little close attention, however, in part because of the lack of published collections of letters and diaries by students during the war. 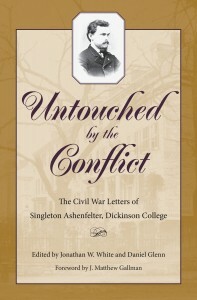 In Untouched by the Conflict, Jonathan W. White and Daniel Glenn seek to fill that gap by presenting the unabridged letters of Singleton Ashenfelter, a student at Dickinson College in Pennsylvania, to his closest friend at home near Philadelphia. 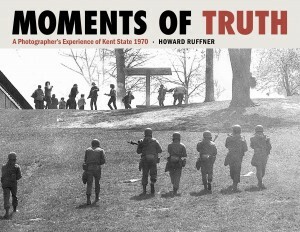 Here, in Moments of Truth: A Photo­grapher’s Experience of Kent State 1970, Ruffner not only reproduces a collection of nearly 150 of his photographs—many never before published—but also offers a stirring narrative in which he revisits his work and attempts to further examine these events and his own experience of them. It is, indeed, an intensely personal journey that he invites us to share. 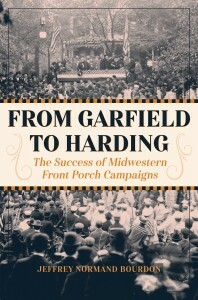 This June 29–July 4 reunion drew over 55,000 official attendees plus thousands more who descended upon a town of 4,000 during the scorching summer of 1913, with the promise of little more than a cot and two blankets, military fare, and the presence of countless adversaries from a horrific war. Most were revisiting a time and place in their personal history that involved acute physical and emotional trauma.